Since the announcement and subsequent commencement of Microsoft’s BUILD Keynote conference, the Redmond-based company has been in the news on an hourly basis. The Windows 8 demonstrations have gone down a real treat, backed-up with by the fact that half a million users flocked to download early Alpha previews of the company’s latest dose of OS innovation. It gets better though, as today the expansion of Xbox LIVE was revealed. Recognizing that its online gaming portal is one of its strongest assets, Microsoft discussed plans to incorporate it into Windows 8. Now this is where it gets really interesting, as due to the constant advances being made with PC and mobile gaming, the company is developing async multiplayer into the platform, which will, in time, allow PC, Windows-based Phone and Xbox 360 users to compete against each other in a multiplayer environment, taking online gaming to an exciting and unprecedented level! With Angry Birds creator Rovio Mobile turning over billions of dollars, gaming on the move is stronger than it’s ever been, and this sort of news is bound to have gamers all over the world – including this one – jumping for joy. By bringing, with the greatest respect to Rovio and Co., "proper" gaming to mobile devices along with the ability to play against friends in the celebrated LIVE environment could also turn out to be the catalyst for a surge in sales of smartphones and tablets running on Windows’ mobile platforms. 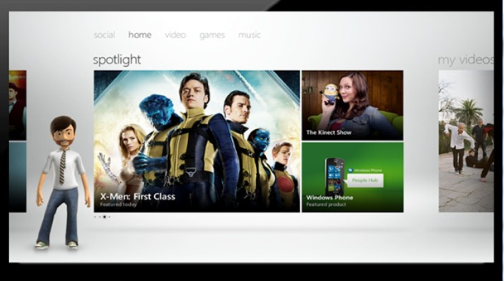 Xbox LIVE is currently available in 35 countries across the world and boasts 35million subscribers. Users spend around 2 BILLION hours a month gaming, which amounts to roughly 60 hours per month per user. This announcement opens so many potential doors for a platform which, although only boasts half of the subscription base in terms of numbers vs. rival Sony’s PlayStation Network, can counter with the fact that the majority of users are paying significant sums for the privilege. Wouldn’t it be fantastic if eventually you could continue a game on a Windows Phone when forced to detach yourself from the couch? One suspects that such an implementation would spell the end of some gamers’ interaction with the outside world! You can check out the demo video for more on Xbox LIVE on Windows 8! Excited? Please share your thoughts!